Miami University has contracted with Omnilert (e2Campus) to provide emergency notification services to the university community via cell phone text messages and email. 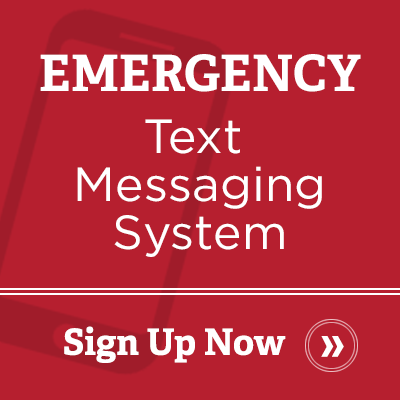 The system, "Miami Emergency Text Messaging System," is available to Miami University students, faculty and staff on all three Butler County campuses. Messages may be used for situations that pose immediate danger or the closing of an entire campus. Messages about Safety Bulletins generally will not be sent unless it is decided there is an imminent threat of danger. This notification service will not eliminate or replace any existing emergency reporting procedures; it will add to them. This page opens in a new window. A Miami University UniqueID and MUNet password is required. Please contact the IT Services Support Desk for assistance: 513-529-7900 or ithelp@MiamiOH.edu. Set a “Safety Timer” session. Once activated, “guardians” in their virtual safety network can monitor the user’s status updates and location. Guardians are automatically notified at assigned check-in times. 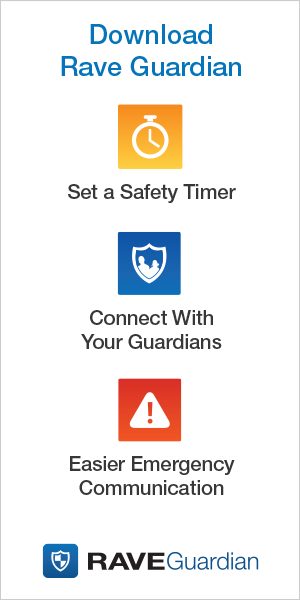 If the timer expires or the user initiates a panic call, Rave Guardian automatically notifies the user’s trusted safety resources. Allows members of a community to send text and photo content direct to Miami University Police via Rave’s secure cloud infrastructure. Through their mobile device, a user can send an alert to Miami University Police with one-click, automatically providing student information and GPS location. Student-created safety profiles contain details such as residence and medical condition information that are automatically presented to Miami University Police during an emergency call for faster, more precise response. Student safety profiles are available during emergencies, on and off campus, to Miami University Police and Smart911-enabled 9-1-1 centers nationwide. Download from the Apple Store or Google Play. The Oxford Police Department, Oxford Township Police Department and Butler County (OH) Sheriff's Office use Nixle to distribute important information regarding incidents in the community, including traffic and weather alerts affecting the Oxford, OH area. You may sign up to receive notifications from these agencies through Nixle by following the link to the left. 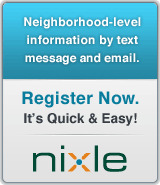 For assistance with your Nixle account, you may contact Nixle's customer service center at support@nixle.com.